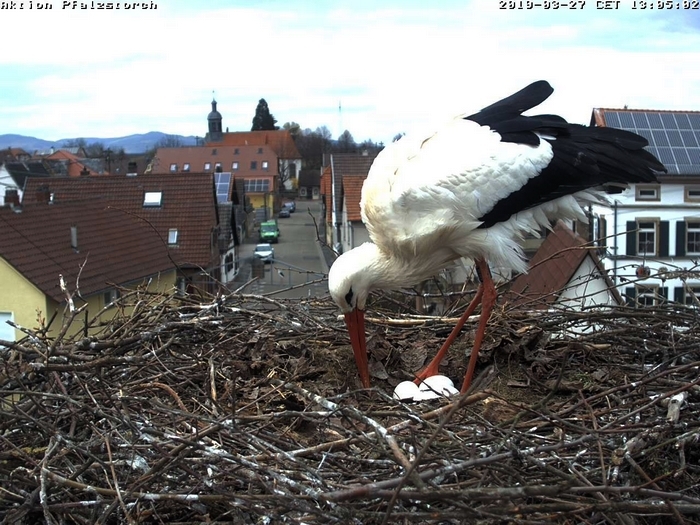 Tiina also laid a third egg, but the male has broken it and also removed from the nest. This short video was recorded with a cell phone after nine in the evening when we arrived Nagyhalászból to stork chicks saved .... The chicks were hungry, at the end of the video can still be seen them in the nest. Soon the heat lamp infrared. 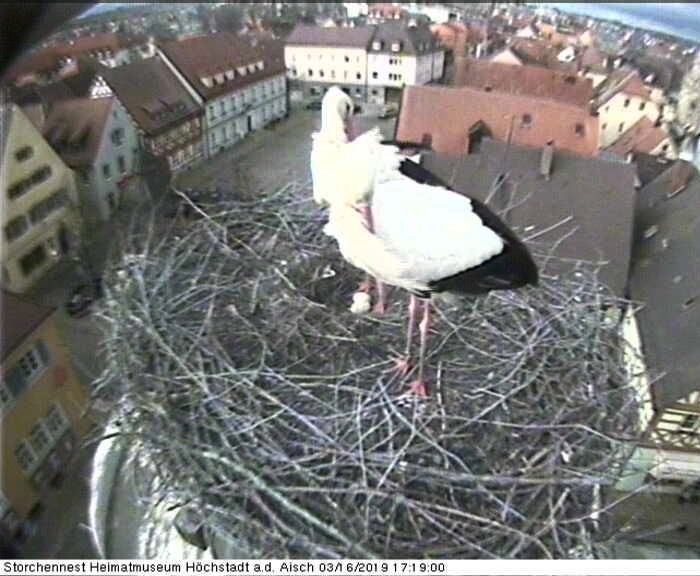 The Estonian nest may stay unoccupied: last year a male stork appeared at the nest and broke all the eggs. After this the female left the nest and never returned. 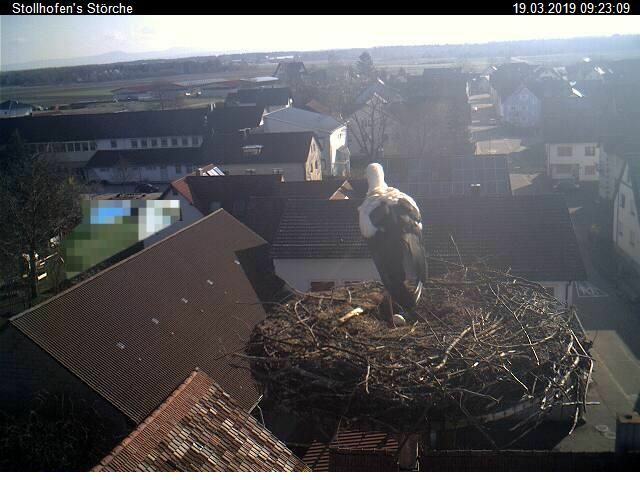 This year the nest has been visited by a black stork but it is not clear whether it is a bird already known to us. Permanent residence has not been established yet. When the birds arrive at the nest we will let you know. 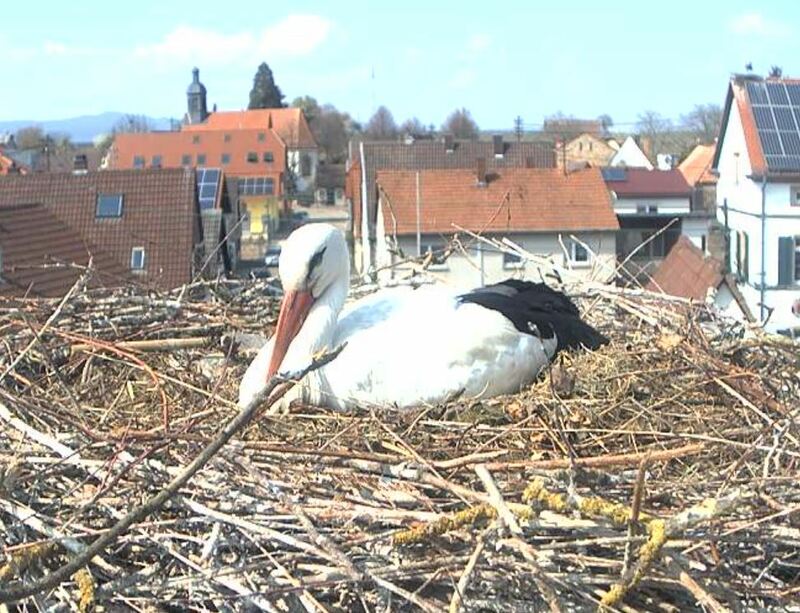 The black stork nest in Latvia has been provided with a camera by our Latvian colleagues and everything there seems almost ideal. The nest inhabitants arrived quite early, at the end of March. Some fights for the nest occurred, but now it has been tidied and lined with moss. 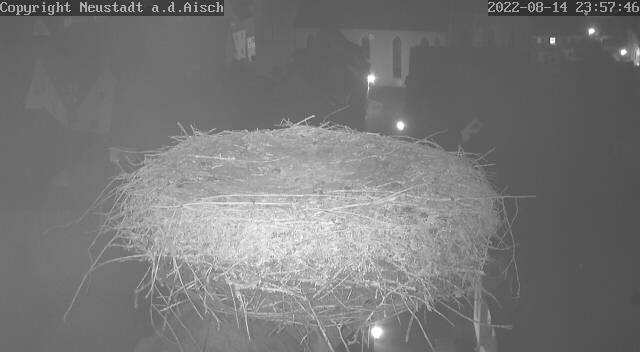 The first egg appeared on the night before April 7th. White-tailed eagle plundered black stork nest. 2018 Nest 1: Cooky & Fenley laid 5 eggs between 3/23 and 3/30, and hatched all five on 4/27 (3), 4/28 (1) and 5/2 (1). 2018 Nest 5: Claude & Jimmy laid 4 eggs between 3/26 and 4/1, and hatched all four on 5/2 (3) and 5/3 (1). 2018 Nest 6: 5 eggs laid between 3/25 and 4/30, and hatched four on 4/30 (3) and 5/1 (1). 2018: Five eggs laid between 3/19 and 3/27 and four hatched on 4/24 (2), 4/26 (1) and 4/27 (1). 2018: Four eggs laid between 3/29 and 4/7. 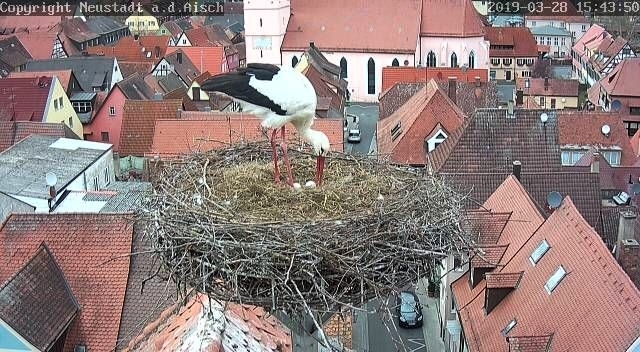 Two hatches on 5/1 or 5/2, and a third egg is pipping on 5/3. 2018: Kaupo (m) and Gaja (f) have laid five eggs between 4/12 and 4/20. 2018: Karl & Kati laid four eggs between 4/16 and 4/23.